Home/Featured/Music Greats – Best Selling Albums of All Time! Music Greats – Best Selling Albums of All Time! Many of you will be avid music fans, who have enjoyed reading about your favourite artists elsewhere on this site, including some details of their releases, singles as well as albums, and have wondered just how good they – the artists – and their music is, or was, in terms of popularity in comparison with the music world in general. The word ‘popularity’ is important, because it is not reflected only in the number of albums sold, or indeed singles in days gone by, so debates will continue to rage, and with good reasons; one is the accuracy of sales figures both past and present, and also because of the cost of buying, now very small through the internet, for example, when compared with vinyl 30 or 40 years ago. Attendances at concerts given by artists – often in conjunction with the promotion of their latest album – are also unreliable, both in absolute figures, and in calculating gate receipts, as ‘promotion’ can refer to the distribution of free tickets too. Even then, just how ‘popular’ were artists – soloists, choirs, and orchestras for example – prior to the widespread availability of recorded material, including in the days when concerts were largely the province of the relatively wealthy, in the times of what is now referred to as ‘classical music’? 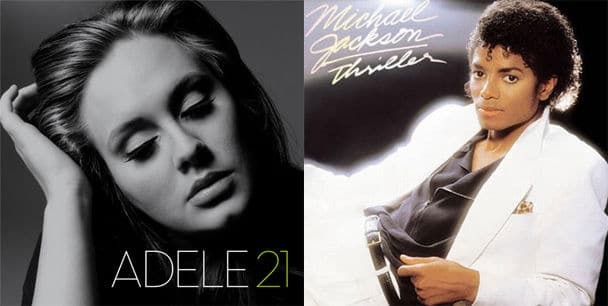 The Best Selling Artists of All Time is the subject of another article, but here we present a list of the top 30 verifiable album sales of all time, worldwide, excluding digital downloads, so only two albums – Adele and The Beatles Compilation – were released in this century. Five artists/bands appear more than once, and all albums sold at least 30 million copies worldwide. Naturally the USA is the biggest market, reflected by most albums’ sales, but it is not confined to American artists. The International Federation of the Phonographic Industry (IFPI) – an organisation founded in Italy in the ‘30s, but now registered in Switzerland – attempts to collate the number of sales. In the USA, platinum indicates a million copies sold; several countries have adopted this certification system but many have lesser numbers, usually as something approaching a ratio of the population in comparison with the US. Stars And Their (Surprising) Cars – Net Worth To Be Spent on…What?